When gum disease first begins, there are often no symptoms. When there are symptoms, they may include pain, swelling, or bleeding from the gums, receding gum line, gums that appear shiny and redder than pink, and even loose teeth. Left untreated, gum disease can progress to damage tooth roots, supportive tissue, and the bone surrounding the tooth. Taking proper care of the teeth and gums can help prevent gum disease from occurring in the first place. To improve gum health, brush teeth twice each day with a soft-bristled toothbrush, including at the gum line. Flossing daily can help remove food and bacteria from at the gum line as well as from between teeth. Regular massages to the gums can also help increase blood flow to improve gum strength and healing. If signs of gum disease have begun, gently massage gums twice a day with a diluted essential oil such as eucalyptus or peppermint. 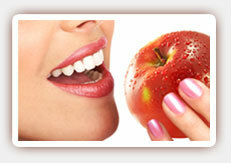 A healthy diet is also necessary for healthy gums. Eat a healthy and balanced diet with lots of fresh fruits and vegetables. Green tea and foods high in omega-3 fatty acids can help fight inflammation and promote healing. Reduce your intake of sugary foods and those with a high acid content. 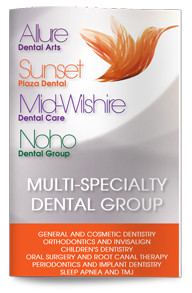 Along with self-care, regular visits with our West Hollywood dentist can also improve the health of teeth and gums. Make an appointment for an exam and professional cleaning for the best protection of your oral health.